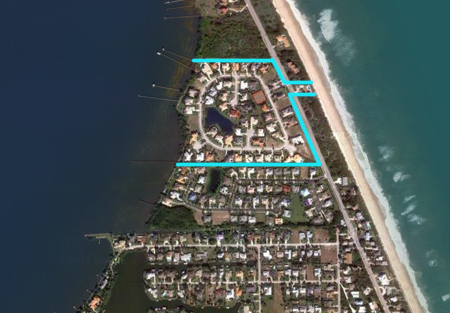 Turtle Bay in Melbourne Beach is an exclusive gated community featuring beautiful executive homes on oversized lots in an outstanding south beach setting. Upscale amenities include a private beach access with facilities, tennis courts and an unmanned gatehouse. 1.8 miles south of Driftwood Plaza (Publix). Turtle Bay of Melbourne Beach is located in the middle south beaches. 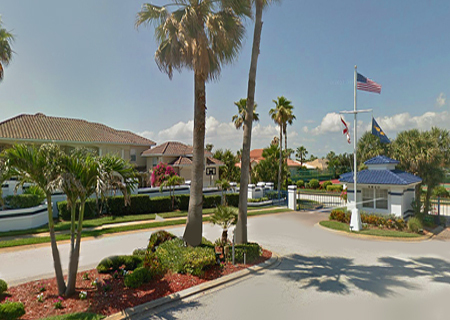 Enter community from Highway A1A via gated Loggerhead Court. Info: Landscaped gatehouse entry, nicely maintained, etc. 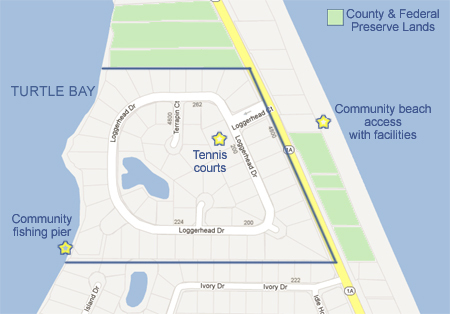 Beaches: Turtle Bay features a deeded beach access across from the community entrance with a boardwalk and facilities.